Hello, peeps! Are you looking for the best and the latest WhatsApp Puzzles?? Well, you are at the right place as you can find many puzzles with answers that you can use on WhatsApp. This post brings you the most interesting WhatsApp puzzles of 2019. These puzzles will refresh and relish you to rejuvenate your mind. So, read and try to solve these WhatsApp puzzles and also send them to your friends on Whatsapp. Test your friend’s IQ by challenging them to solve these great puzzles. Just copy any puzzle and send it to your friend. This is a fun way to test your friend’s IQ and get to know them more. In this way, you can make new friend’s too. In this post, we have shared some best Whatsapp Puzzle and Tricky Questions with answers that you can ask your friends. How many steps are required to break an m × n sized bar of chocolate into 1 × 1 pieces? You can break an existing piece of chocolate horizontally or vertically. You cannot break two or more pieces at once (so no cutting through stacks). You need m×n – 1 steps. By breaking an existing piece horizontally or vertically, you merely increase the total number of pieces by one. You already have 1 piece, so need m×n – 1 steps to get to m×n pieces. An exercise for all detective friends. Here’s a Whatsapp movie puzzle with answers. 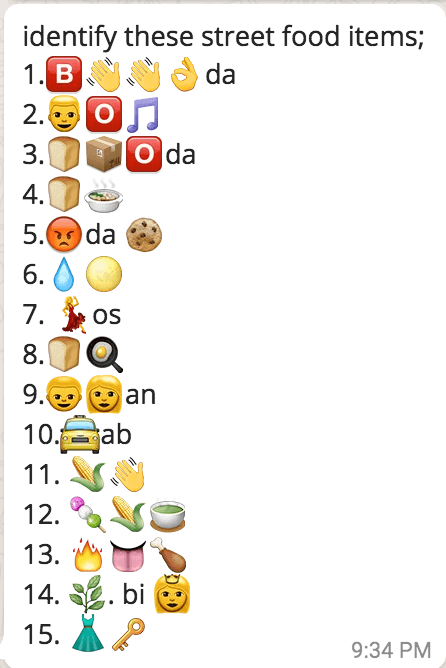 Here’s a very amazing Whatsapp food items puzzle. Simply copy it and share on WhatsApp. Some WhatsApp math puzzles with answers to test your friend’s knowledge. So there were some really Cool & tricky WhatsApp puzzles of 2018 that you can send to your friends or family members. For your help, we have added these WhatsApp puzzles with questions & answers so that you don’t have to solve the puzzles yourself. 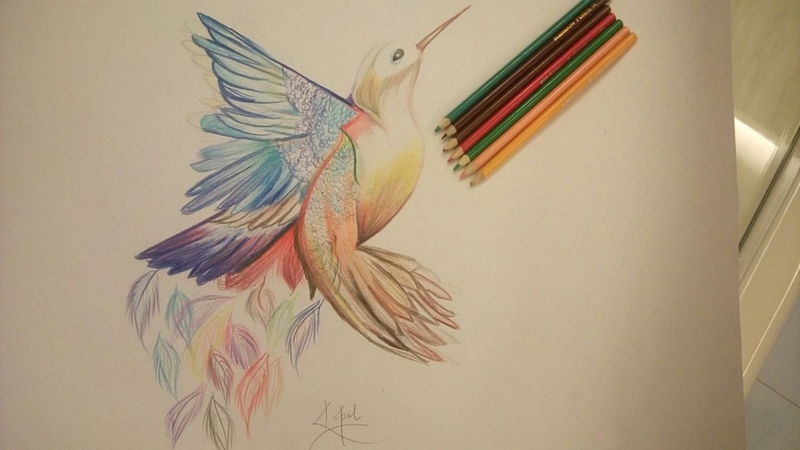 Liked my post? Please like, share and comment below. If u eat ____u die & when u die u can take______ with u? One words fitted all block space. Its a 7 letter words.